Compute algos, get results, post trades. 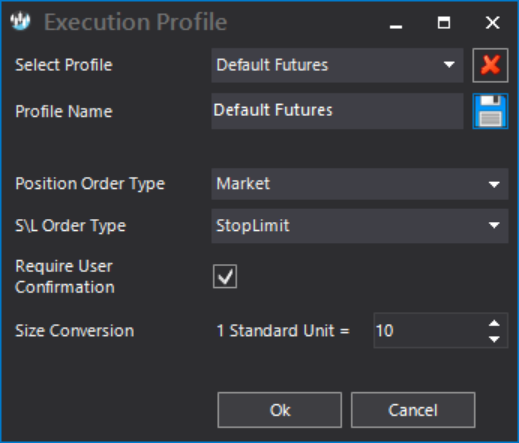 Run your algos and systems live and automatically post trades to your accounts using preset execution profiles. The scripting alerts module allows you to post trades upon fulfillment of the buy and sell scripts. 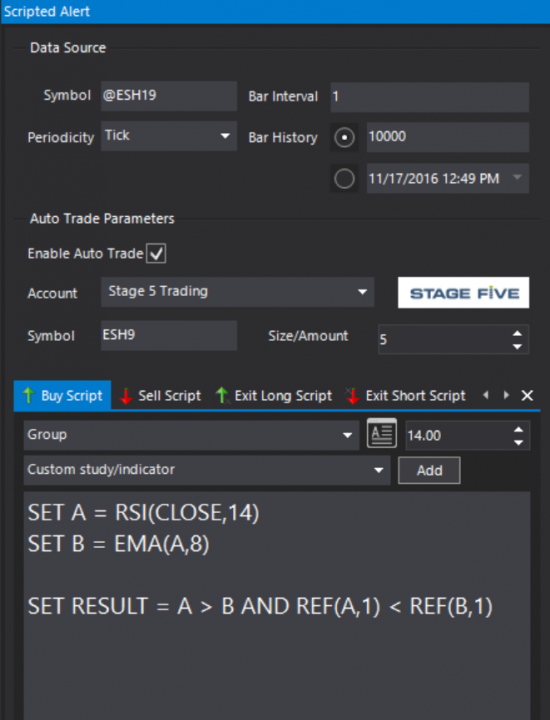 The live run function has a built-in auto-trading feature that lets you post buy and sell market orders directly to your preferred trading account when the buy / short / exit long / exit short scripts are fulfilled. The loop trading systems module allows you to post trades upon fulfillment of the buy and sell steps within your trading systems. The live run function has a built-in auto-trading feature that lets you post buy and sell orders directly to your preferred trading account based on preset trade execution templates pertaining to specific trade sizes and order types.